Does Publishing a Book On Transylvania Mean Sales? If you were to write a book about Transylvania or the people who lived there, would this mean you would make sales? Possibly. But the reality is probably not because it is such a niche market. There are many who have self-published small books, but if its not on travel or on Dracula (not the person, rather Count Dracula...) then chances are there will be few sales. Does it mean you need to publish your book even if you might not get many sales, or earn a lot of income? My belief is that we need to write about Transylvania and Romania. There are a lot of folk stories and myths about the area's history, and some of them are based in fact. They are also based on real people, and many can be traced to who originally lived and died in the area. I think it would be wonderful to have the chance to publish a best seller about Transylvania; not one which is a fictional novel. For example, when I sell my book (which is a history book about the Second World War) many people ask if Dracula in it. 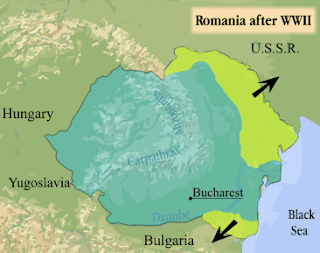 Romania was not a country when Vald Tepes was alive, (he was a prince of Wallachia) it wasn't even thought of. The people of Romania, as a country are very young, only gaining independence from the Ottoman Empire much later. Bram Stoker started the Gothic craze, but a bestseller on this will be harder to find and re-create. My answer to them is, No, sorry please see Bram Stoker. Publishing a book about Transylvania and its people might mean some sales, but it also means a lot of hard work. There are some excellent books about Transylvania out there. It is important that people seek them out and read them.